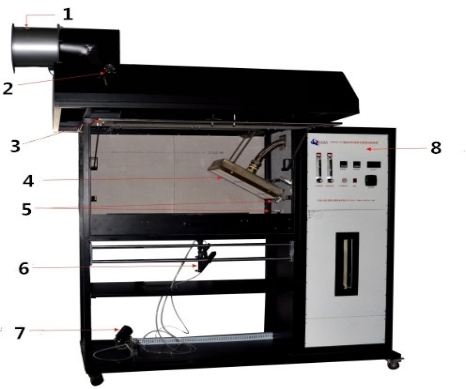 This test method is used to measure the critical radiant flux of horizontally-mounted floor covering systems exposed to a flaming ignition source in a graded radiant heat environment, within a test chamber. It can also be used to measure this same critical radiant flux for exposed attic floor cellulose insulation.Suitable for all kinds of flooring materials. Such as: textile carpets, soft wood, wood, rubber and plastic flooring and floor boards spray material. 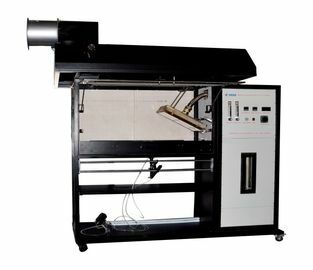 The apparatus can be reacted combustion performance flooring including the use of a substrate, backing material, backing material, or flooring materials other changes are likely to affect the test results, which is used to test and describe under controlled conditions in the laboratory, shop combustion characteristics to the material paired heat of reaction to fire. 19. Powerful exhaust system: This machine is equipped with a powerful exhaust fan, when the test is completed, the system will start the exhaust fan exhaust outside. 6. 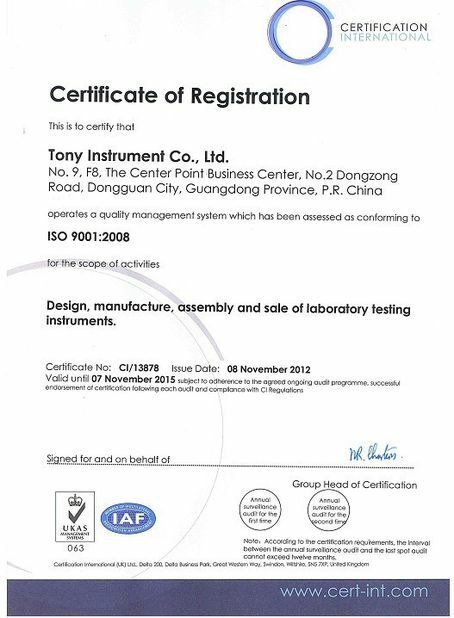 Other mechanical parts are made of 304 stainless steel or A3 material thicker plating, anti-corrosion and rust. 1. 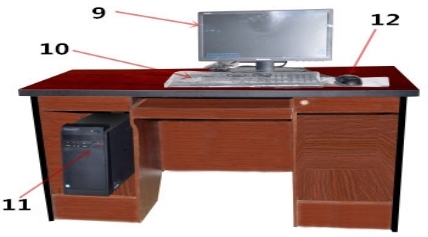 Adopt computer control system,include computer and printer each one,Windows XP operating system. 2. A light transmittance measurement software, and reports can be output curve. 3. The device has the following safety devices: power overload, short circuit protection, overload control loop. 1. 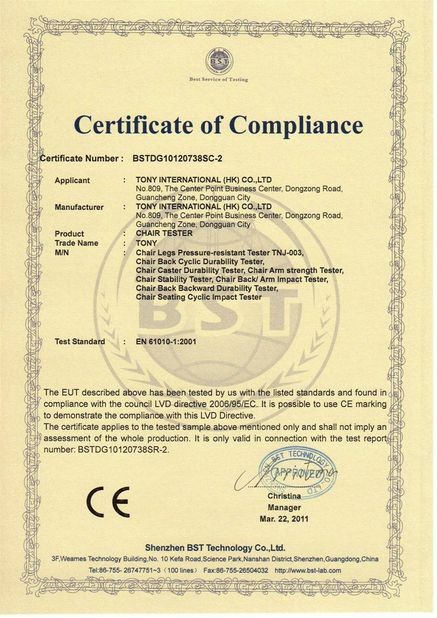 Flat surface,well-ventilated, non-flammable, explosive, corrosive gases and dust. 2. There is no strong electromagnetic radiation nearby. 3. Left around the equipment properly maintained space. 5. Voltage allowable fluctuation range: 220V ± 10%. 6. Frequency allowable fluctuation range: 50Hz ± 1%. 7. Require users to configure the corresponding volumes of gas, gas resources for device, and power at the installation site,and this power must be independent and specific for the device.